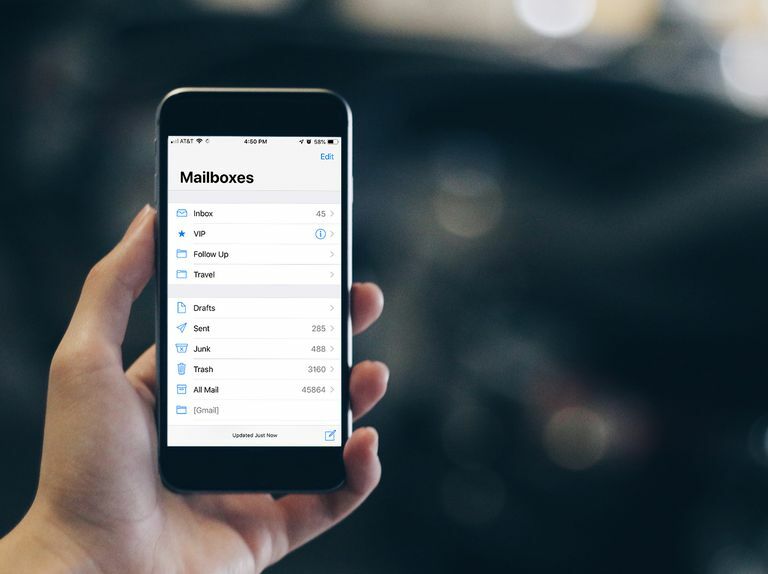 It's easy to create a folder in the iPhone email app. Knowing how to create custom mailboxes on your iPhone or iPad can be especially helpful if you use the iOS Mail app to access Gmail, Yahoo! Mail or any other mail clients. From your inbox, tap the icon (<) in the upper-left corner to see your Mailboxes list. Now tap New Mailbox in the bottom-right corner. Type the desired name for the new folder in the field provided. To pick a different parent folder, tap the account under Mailbox Location and select the desired parent folder. You can also create custom folders in the Apple Mail application on your Mac and sync them to the iPhone or iPad. You can delete any folders you set up in the iOS Mail app whenever you no longer need them. On the Mailboxes screen, tap the mailbox containing the messages you want to move. Select the emails you want to move by tapping the circles beside each one. Select the custom mailbox from the list that appears to move the chosen emails.